As is often the case, people want to keep some information private due to its sensitive nature. 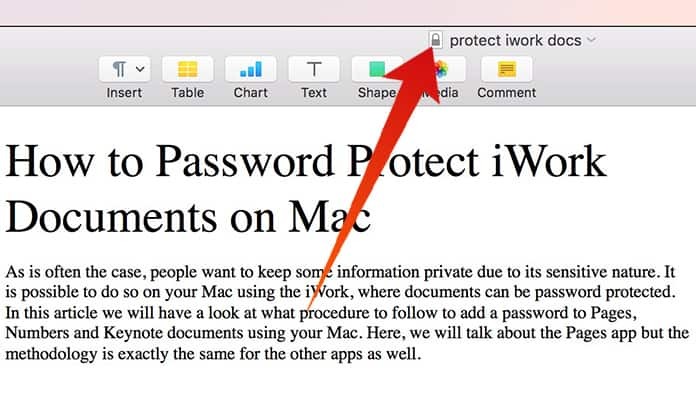 It is possible to do so on your Mac using the iWork, where documents can be password protected. 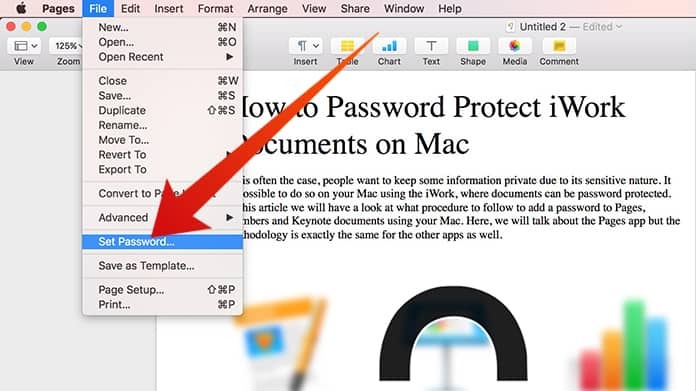 In this article, we will have a look at what procedure to follow to add a password to Pages, Numbers and Keynote documents using your Mac. Here, we will talk about the Pages app but the methodology is exactly the same for the other apps as well. To start off, first of all, you need to open the document in question and go to File -> Set Password. Next, you will see a window headed with ‘Require a password to open this document’. Here, enter the password you want in the Password dialogue box and reenter it in the Verify box. After doing so, hit ‘Set Password’. 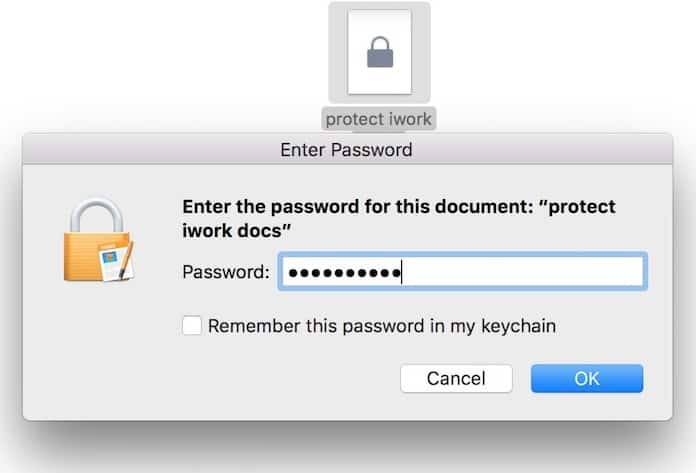 After the iWork document has been successfully password protected, there will be a lock symbol next to the file name. In addition, this lock will be visible in the File Finder. When you attempt to open a password protected document in the Pages files, you will need to enter your password to access it. A window called ‘Enter Password’ will appear. Also, keep in mind that you have the option to save your password to your keychain in this window. 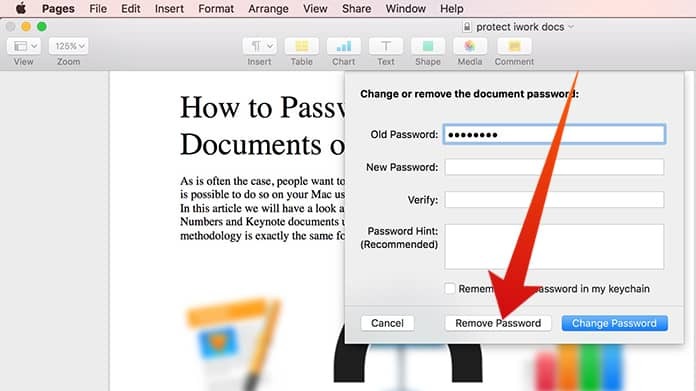 To do so, just enter the password when you are prompted and when in the file go to File -> Change Password. In the ‘Change or remove the document password’ box, fill in the old password and then enter the new one and verify it to change your password. You can do this by accessing the ‘Change or remove the document password’ dialogue box again. Enter the Old password and then select Remove Password to be done with it. Protecting sensitive information or documents using a password can be very useful as it limits access to them for any person other than you. A password manager like Apple Keychain or 1Password can help you out as well to keep track of all passwords and logins. 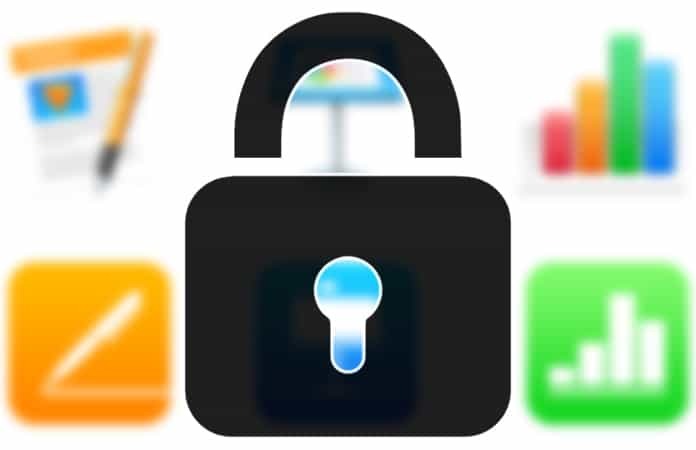 In fact, there are even password managers that let you store private information and data in addition to passwords and logins.